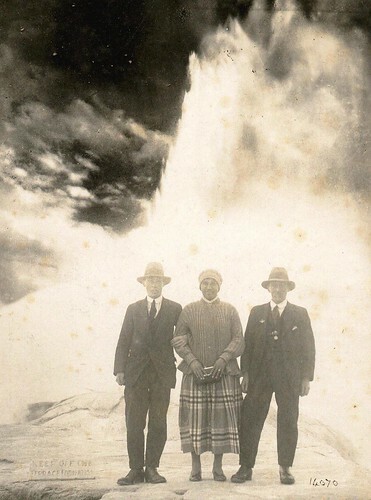 In the 1920s my Great Grandfather Cyril Pearce went on a grand tour of Rotorua with his brother Willy Pearce. The following are some photos from the trip. I am not sure who the lady is with them in the tartan skirt. Maybe she was their tour guide. They toured in suits and ties and hats, which was everyday gear in those days. 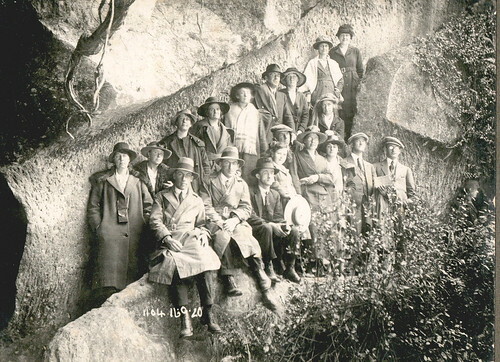 The last photo may be Waitomo, rather than Rotorua as it looks like they are sitting in the entrance of a cave. Cyril and Willy are the two men right at the front in trench coats. If anyone can shed light on this I'd love to hear from you. Willy, Cyril, and a bunch of other people! 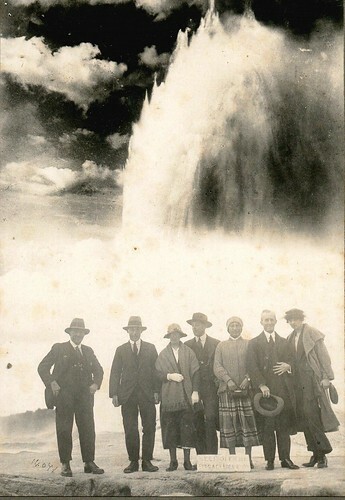 Rotorua, 1920s. Waitomo Caves? Not sure about this. Cyril and Willy are sitting in the front in trench coats.